The Public have commissioned an exciting young British artist to produce a participatory piece of art for the ground floor of the gallery. Collide-o-scope, by Naren Wilks, is based on his short experimental video piece of the same name. 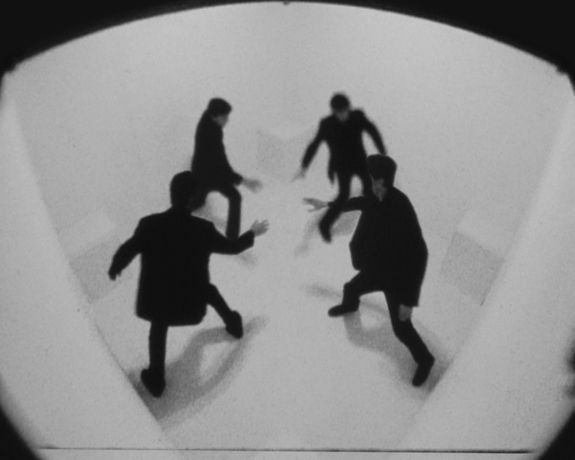 The video combined the aesthetics of the silent comedy era with the latest in digital manipulation technology to create a playful and engaging spectacle. Watch Bharatanatyam dancer, Devika Rao, perform in Collide-o-scope by clicking on the link below! With thanks to Sampad.